I work in the currency market since 2006 . Elementary is a grid Expert Advisor following a custom indicator. 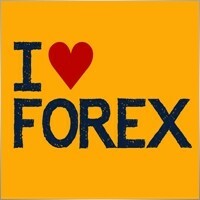 It can be used for any currency pair and timeframe. Make sure to test the EA in the strategy tester for each symbol and your broker before launching it on a real or a demo account. Indicator period - from 2 to 240. The lesser the value, the more trades are opened. The greater the value, the less trades are opened and the less the drawdown. This is the result of 3.5 months! The indicator now works on all symbols. The panel for manual trading. 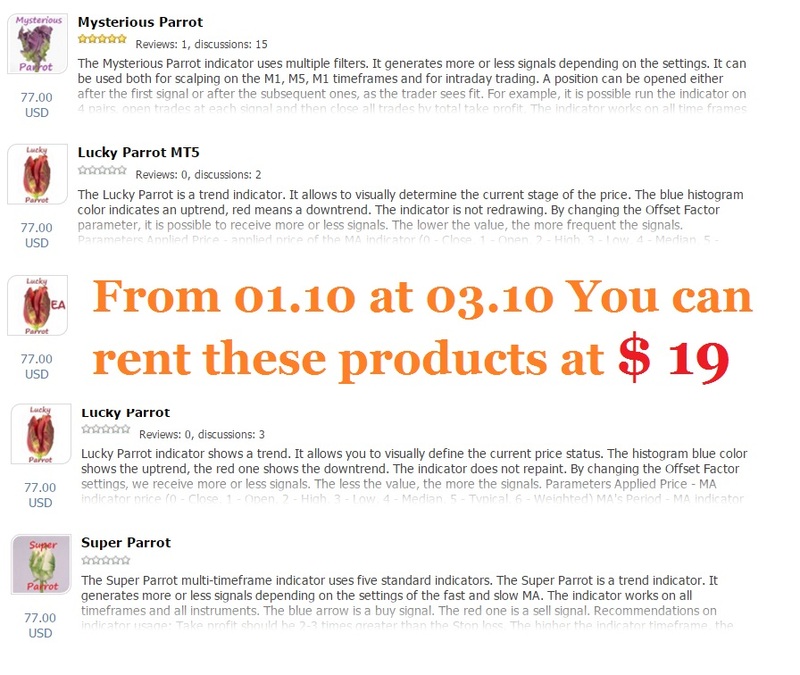 The Super Parrot multi-timeframe indicator uses five standard indicators. The Super Parrot is a trend indicator. It generates more or less signals depending on the settings of the fast and slow MA. 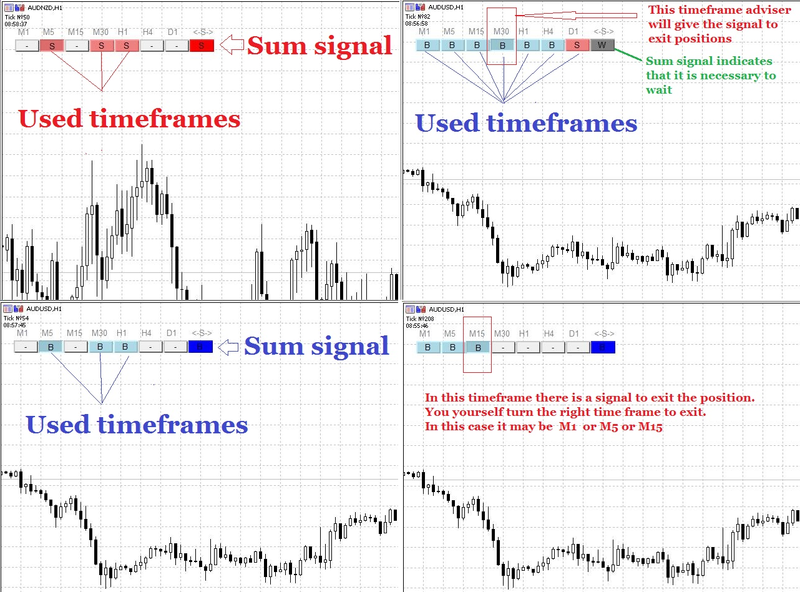 The indicator works on all timeframes and all instruments. The blue arrow is a buy signal. The red one is a sell signal. Take profit should be 2-3 times greater than the Stop loss. Lucky Parrot indicator shows a trend. It allows you to visually define the current price status. The histogram blue color shows the uptrend, the red one shows the downtrend. The indicator does not repaint. By changing the Offset Factor settings, we receive more or less signals. The less the value, the more the signals. The Mysterious Parrot indicator uses multiple filters. It generates more or less signals depending on the settings. It can be used both for scalping on the M1, M5, M1 timeframes and for intraday trading. A position can be opened either after the first signal or after the subsequent ones, as the trader sees fit. 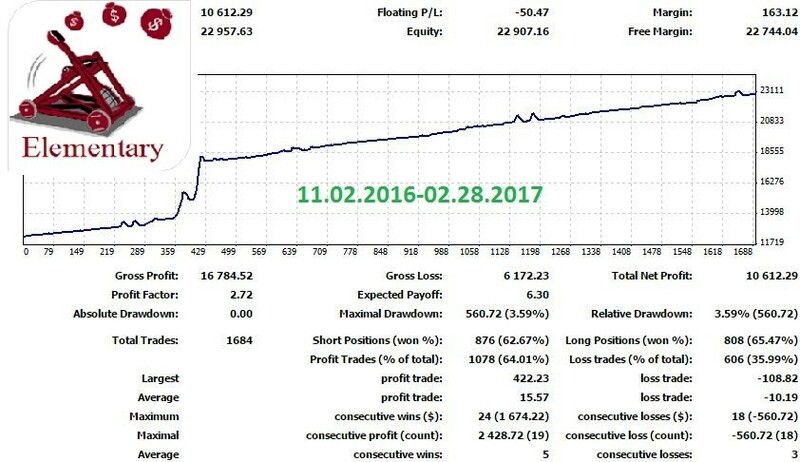 For example, it is possible run the indicator on 4 pairs, open trades at each signal and then close all trades by total take profit.